Sounds exciting. What’s all this about? It’s another idea that I’ve read about from the Best of the Best classroom guide ‘Engagement’ edited by Isabella Wallace and Leah Kirkman. This idea comes from behaviour-guru and ‘notorious teacher-wrangler’ Paul Dix. He talks about the pull of a good old-fashioned tombola. You know the sort of thing – it’s a summer fair must-have and the basic idea is very simple. People donate prizes (which are normally rubbish ones) and these then have a number assigned to them and are put on display. During the fair/fayre or ‘fête’ people buy tickets, which if they match the number on an item, win that prize (normally a rubbish one!). 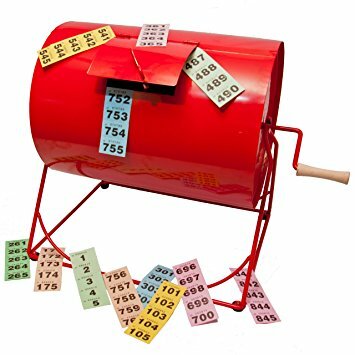 The tombola is basically a barrel-like replacement for a sorting hat, and tickets are grabbed from an opening in the top. We all know and love a tombola! But why? Pivotal Paul reckons it taps into our instinct to win something and the anticipation that we might. We know the prizes aren’t great but who cares, it’s just exciting to delve in the rotating tub of chance or the buzz of getting your number called! It’s the thrill of winning an out of date box of chocolates, some cheap toiletries or a chipped vase. Paul has taken the motivation of winning something and called it tombola theory which he extended in the classroom by using some sparkly boxes. His idea is to place different tasks into different boxes and then invite students to draw them out. The boxes have different levels ‘easy’, ‘medium’ and ‘hard’ and these levels of difficulty are rewarded with appropriate reward. Instead of battling with Trevor to focus on his work the mood and motivation has changed. Now the desire to delve is playing havoc with his desire to disrupt. The boxes motivate and focus the learning. They reveal the mysteries of the lesson, appear to give the child power over what is being studied and are thoroughly satisfying and sparkly. With tombola, there is an element of the unknown and that is attractive. The pull of anticipation engages children and makes the learning more enjoyable and memorable. Sometimes learning really is cheap!